1000 mm. 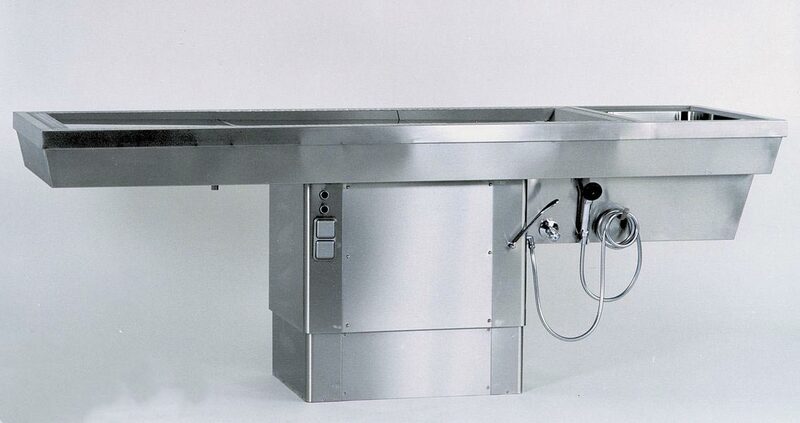 The Autopsy table is entirely made of stainless steel (material no. 1.4301- ANSI 304). 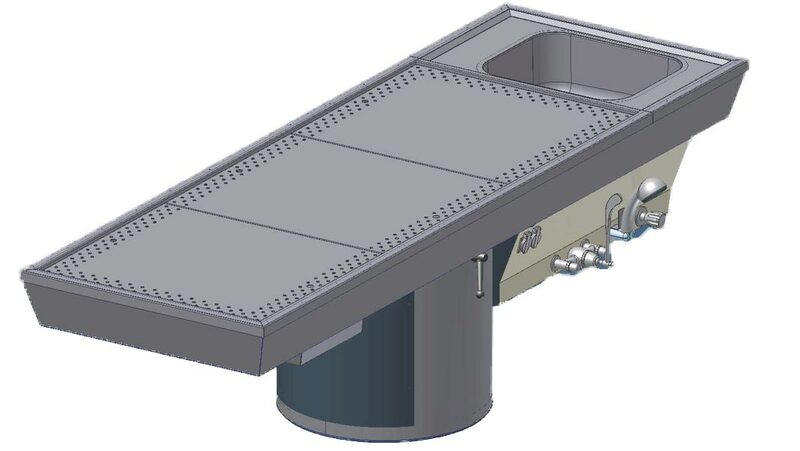 A seamlessly welded basin with a surrounding profile border is affixed to the end of the table.